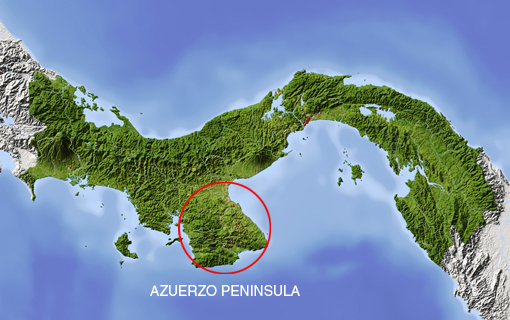 The Peninsula de Azuero is esteemed by Panamanians as the country’s heart and soul. Inland, the peninsula is one of the country’s major farming and ranching centers. It is also the strongest bastion of Spanish culture left in Panama, with the lineage of many families linked directly back to Spain. These days, talk has turned it into the ‘Tuscany of the Tropics’, with rolling hills and a long, lovely coastline. Surf is up! Reflecting the true heart and soul of Panama, the Azuero Peninsula is a major farming and ranching centre. More recently, for many reasons, it has become a significant tourist destination. The area, conquered by the Spanish Conquistadores early in the 16th century, remains a bastion of Spanish culture. 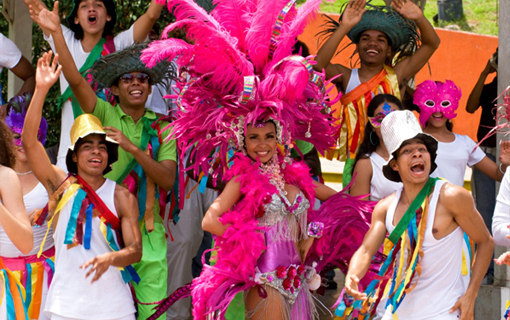 This history is reflected in its famous festivals featuring street parades, music and dancing and of course, fireworks! The women and girls of the Los Santos Province don their beautiful polleras. These are the traditional handmade dresses which feature colourful, intricate embroidery and delicate filigree. Their hair is decorated with clusters of fine ornaments and golden hair combs. For many of the festivals the men bring out their carts and wagons depicting life in Panama and these are drawn by the famous brahman bulls. During other festivals, many people arrive on horseback. The celebrations – which are too many to list – range from religious and historic dates to national festivals. The most popular festivals are Carnival and Semana Santa (Easter Week). 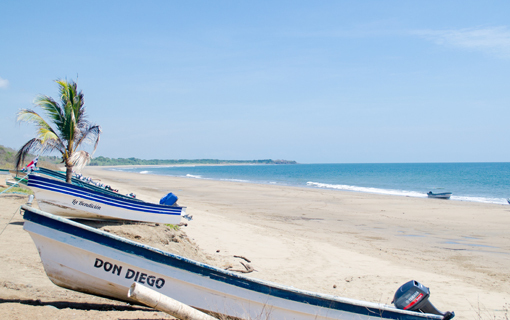 Pedasí was once known as a “sleepy little fishing village”. Today the tiny town of Pedasí is slowly emerging as one of Panama’s up-and-coming tourist destinations. 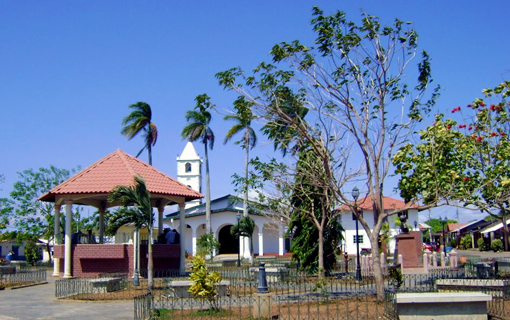 Located in the southeastern corner of the Azuero Peninsula, it is tidy, charming, and friendly. The buildings are decorated with some wonderfully intact Spanish-colonial architecture, and there are a number of pristine beaches close to town. Church bells ringing, children playing ball in the plaza gardens and smiling faces are all a part of the charm of this town. It’s changing and changing fast, but while maintainng respect for the local architecture and traditions. Most of Pedasí lies along a 1 km stretch of road that runs straight through town. Small hotels, restaurants, and private residences line the street. The sidewalks are virtually non-existent, but with the minimal amount of traffic that Pedasí sees, a walk down the street is not a problem. Near the town’s northern entrance is the central plaza, a place where locals gather at all hours of the day to chat and lounge. The plaza is bordered on one side by an attractive, palm-lined church, which calls attendees to evening mass with a large melodic bell. A stroll through the plaza and along some of its bordering streets at sunset is a good way to get a feel for this mellow Panamanian town. Pedasí is a haven for activities such as fishing, surfing, kite surfing, SCUBA diving, spear fishing and horseback riding. The beaches are easy to access and although the ocean can become a bit choppy, it is swimmable. Playfully referred to as the “Tuna Coast,” this area also offers up some good sportfishing, the best of which is (obviously) for tuna. A few km off the shore from Pedasí is the Refugio de Vida Silvestre Isla Iguana, a 55-hectare wildlife refuge that has tranquil beaches and some wonderful snorkeling. The coral reefs which ring the island attract large fish, making both snorkeling and diving popular while visiting the island. During the months of June through November there is even the chance spotting humpback whales in the surrounding waters. 34 km southwest of Pedasí is Playa Venao, a mostly-local surf spot that serves up consistently good waves that break in both directions. The vibe here is mellow and pleasant, and its close proximity to Pedasí makes it a convenient place to day-trip while staying in the town. Public transportation to Pedasí runs through Chitré and Las Tablas. A bus ride from Panama City to Chitré takes about 4.5 hours. From here, hop a bus to Las Tablas, and then one to Pedasí. In total, it should take about 1.5 hours. Additionally, Pedasí has an airstrip which welcomes commercial flights from Panama City, a trip which takes about 45 minutes.